NPR Launches Reflect America Fellowship Applications open today for the 18-month fellowship, based out of D.C., that will focus on bringing a greater diversity of voices to NPR's news coverage. November 8, 2018; Washington, D.C. —NPR has launched the Reflect America Fellowship, a new program aimed at bringing a greater diversity of voices to NPR's news coverage. Applications open today and close at 11:59 p.m. EST on Dec. 9, 2018. During the 18-month fellowship, the Reflect America Fellow will work with journalists across the newsroom to find, cultivate and vet sources who are often missing from media coverage, ensuring that those voices make it into NPR's news programs on the air, in podcasts, and across all digital platforms. The Reflect America Fellowship builds on five years of work to help NPR look and sound like America. In 2013, the network began tracking the race/ethnicity, gender and geographic location of its news sources on its two largest shows, Morning Edition and All Things Considered. NPR found that its sources were overwhelmingly white, male and located on the east and west coasts. A 2016 study of digital sources found similar challenges. NPR continues to identify ways to improve the diversity of its journalism. 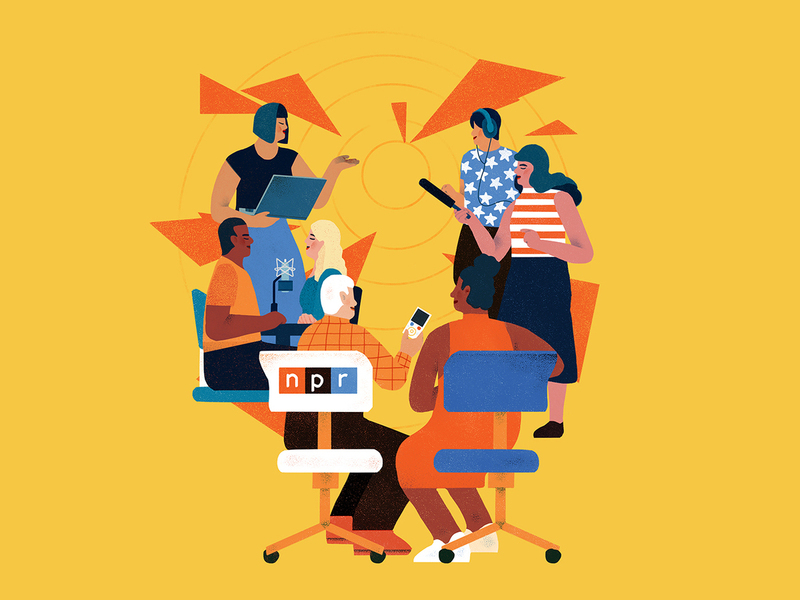 The Reflect America Fellow will help guide NPR's ongoing sourcing work and research, and play a significant role in public media's efforts to increase the diversity of newsroom staffs across the country. "This fellowship is a way for us to take the idea of diversity from aspiration to action," said NPR's Vice President, Newsroom Training & Diversity Keith Woods. "It accomplishes several things: The public will benefit from the new voices and perspectives, NPR will be introduced to new sources, and the Fellow will come away with deeper skills in audio and digital journalism." The Fellow will have the opportunity to gain critical skills in reporting, writing and producing on audio and digital platforms while working with some of the country's best journalists. Designed for an early- or mid-career journalist who wants to work and grow in one of the nation's most dynamic newsrooms, the Reflect America Fellowship is one of three fellowships offered by NPR. The others are the Kroc Fellowship, a yearlong program to train the next generation of public media journalists, and the Above the Fray Fellowship, dedicated to covering under-reported international stories. The Reflect America Fellowship is a full-time position that runs from March 2019 to September 2020. The position is based at NPR headquarters in Washington, D.C.